The Security Product Depot is an innovative provider of online security products offering a broad array of the latest in technology to secure your assets and property. It is our commitment to provide you the broadest array of quality security products at best price and value in the marketplace. 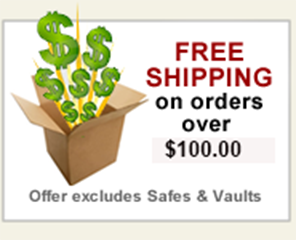 Our goal is to offer you a convenient means to shop online for your security products. If you’re unable to find the product you’re looking for, give us a call at 855-362-9090 and we’ll use our resources to find the product you’re looking for at the best value. To accommodate our many customers we have established a complete line of security products to meet your every security need. In the area of door hardware we have a full line of commercial door hardware and residential door hardware. Our door hardware products include: door leversets, door closers, mortise locks, knobs, levers, exit devices, deadbolts, padlocks, and keyless entry locks. Equally as important to providing you quality door hardware and locks at a good value, Security Product Depot provides a complete line of CCTV surveillance and video camera systems to monitor your property. Our CCTV security solutions include the most advance and curtain DVR systems on the market that have remote access features so our customer can view their property via a smart phone such as a Google Android phone or an Apple iphone. Along with the our CCTV DVR systems we offer you bullet cameras that are designed to be durable and multi-functional, dome cameras that are very stylish allowing you to place them in many areas of your business to achieve maximum discretion as well as hidden cameras for the most discrete and sensitive situations. For the most advanced video surveillance situations we offer high quality PTZ cameras, Pan Title Zoom cameras at very reasonable value. For those customer that need to secure their valuables and important documents Security Product Depot has a number of safe, security files cabinets and security cabinets to protect your valuables from theft, water or fire. Choose from a wide array of security safes, wall safes, floor safes, deposit and drop safe, gun safes, media and record safes for the home or office. Quality and Value is Security Product Depot’s focus. Service to our customers is our highest priority. We strive to provide you with an extensive line of high security solutions from such name brand manufacturers as Yale, Sentry Safe, Schlage, Master Lock, Arrow, Sargent and other recognized manufacturers unique to your business, home or industry. We offer timely delivery of products and above all, competitive pricing. If you can't find it – Call us at 855-362-9090 and we will do what it takes to get the product for you at a good value.